Why just outrun your competition when you can crush them! If you are on a look out for an innovative online marketing company that can help you increase profit margins and help you engage with new customers every day then your search ends here. Search Eccentric offers profitable search engine marketing services in all popular industry domains including banking and finance too. At Search Eccentric, we have hired a team of professionals who are adept in the field of search engine optimization for financial institutes, banking and mortgage services. Our strategies not only help promote your finance based website but also help you to engage with potential clients and customers every day. We understand that since a crucial business domain like finance requires to engage with professionals who have moderate knowledge of the business domain itself this is why, we offer SEO experts who can look into improving your business website while at the same time help you increase ROI. 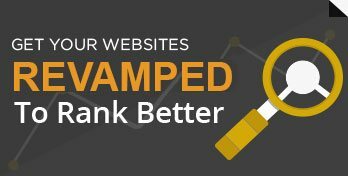 How do we increase more traffic towards your financial website? We know that the bulk of the potential traffic for any kind of website comes from search engines like Google, Yahoo, MSN and others this is why we adopt suitable techniques to promote your finance website on these search engines. Social media networking sites nowadays play an important role of attracting traffic. This is why we can help you create specialized fan pages and also engage in communities to promote your brand. We can spread your message across cost effectively through email marketing techniques. Our services range from designing finance related newsletters to sending it out to a huge audience. If you seek the assistance of popular tools like Pay Per Click for instance to push the ranking of your finance website then we can offer you a wide range of spectacular packages to choose from. At times, we understand that you need to share key messages with your clients and customers and important stakeholders. Through our blogging techniques you can now present what’s on your mind in a more professional and sophisticated manner.